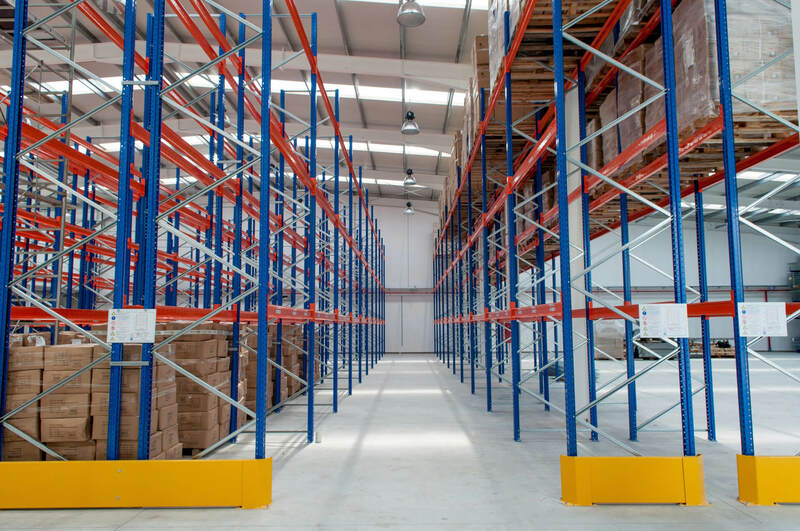 Dexion is arguably the most popular pallet racking system on the market today; it is one of the original manufacturers of pallet racking, shelving and drive-in which means it’s one of the most recognised brands in the industry. ‘Dexion’ has now become a widely used term to describe any system of pallet racking. Slotted angle was Dexion’s first breakthrough in to the industry. This went on to replace wood because of its superior strength and space-saving design. Today, there are even more state-of-the-art warehouse racking systems to benefit your business. See them for yourself by browsing our current range of used Dexion pallet racking and shelving. Dexion manufactures two different systems – Dexion Mk3 (Speedlock) and Dexion P90. Our experts can identify which Dexion system you have within minutes to be sure that you are getting the correct system if you need match your existing racking. Second hand Dexion frames, beams and components can be tailored to maximise your current space within your warehouses, factories, workshops and other facilities. These second hand racking systems are suitable for most pallet sizes i.e standard GKN or Euros. Second hand Dexion Deepstor Drive-In pallet racking will give you the best opportunity to maximise your storage on a first-in-last-out basis. Dexion also offer a great range of shelving systems for lighter duty items with the most popular system being Dexion Impex – huge quantities in stock! Visit our shelving page to find out more! We even offer second hand Dexion pallet accessories, such as beam locks, row spacers, floor fixings and more. View our accessories page here. When we acquire new stock of Dexion second hand pallet racking, we carry out thorough quality check to the SEMA guidelines, carry out meticulous cleaning on each piece and store them inside our 45,000 sq. ft. warehouse, ready to deliver or install at any UK location.